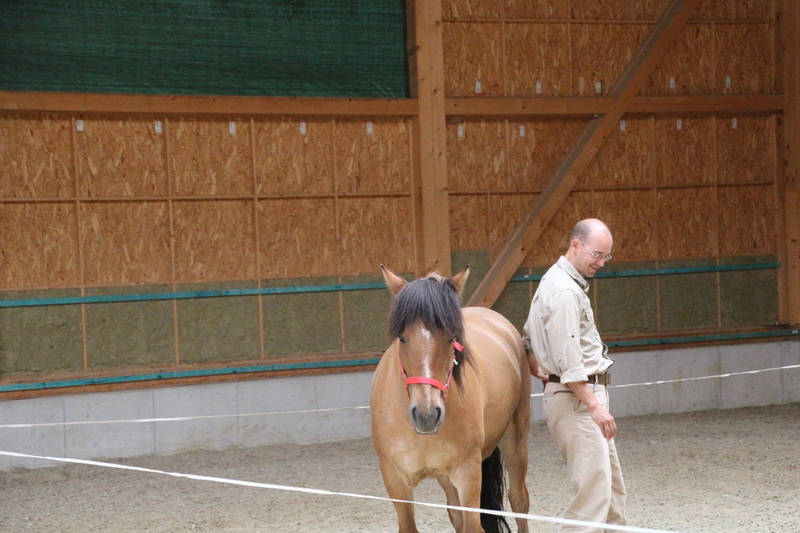 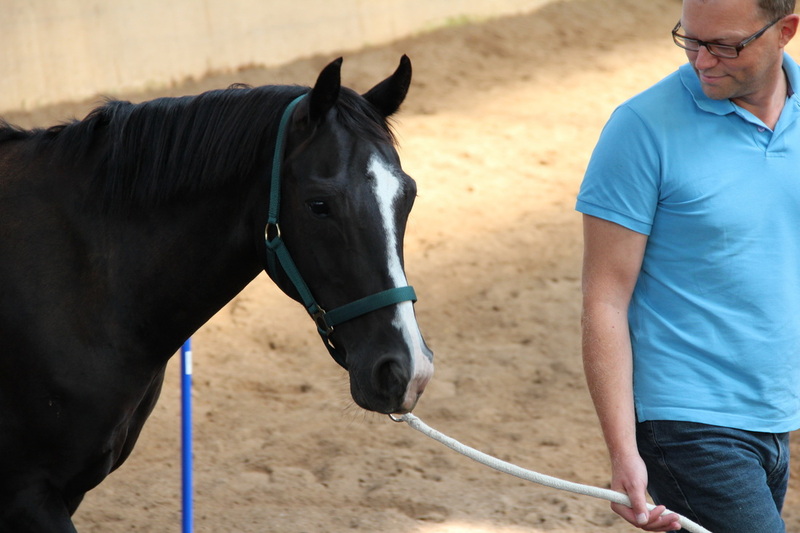 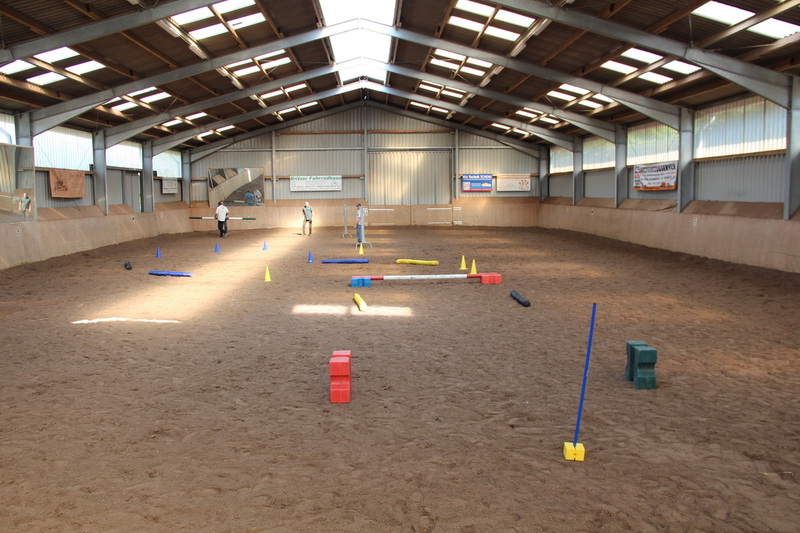 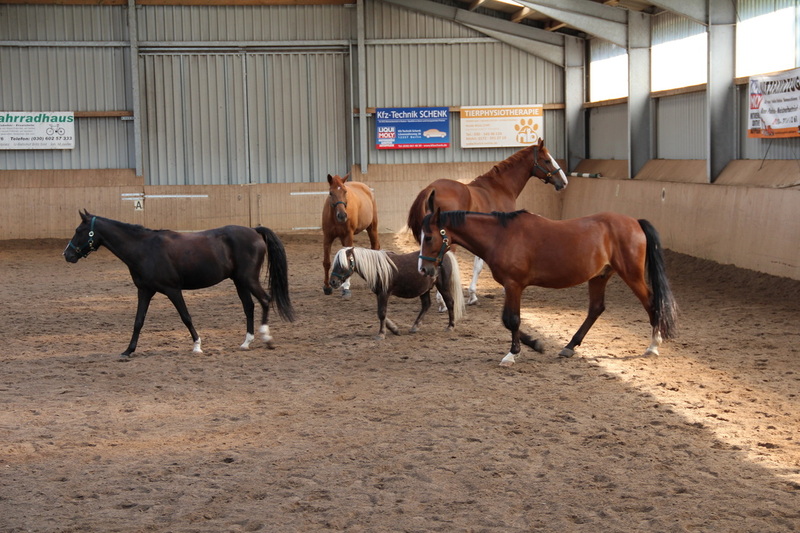 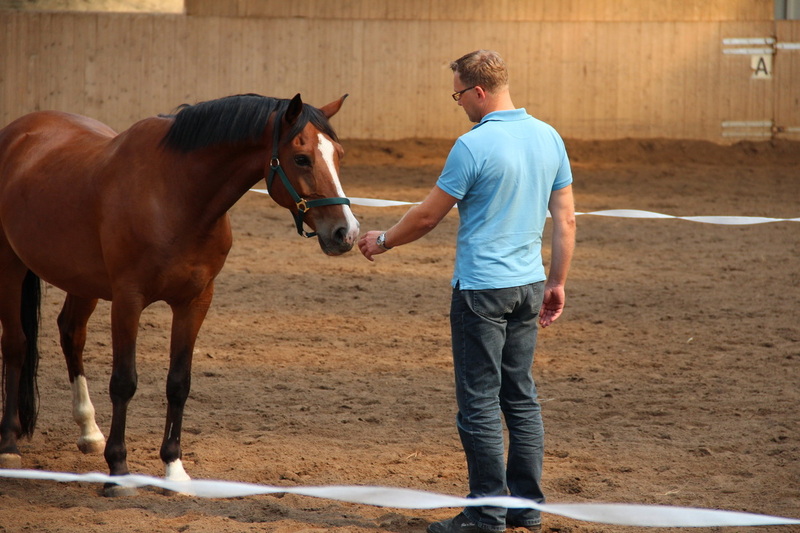 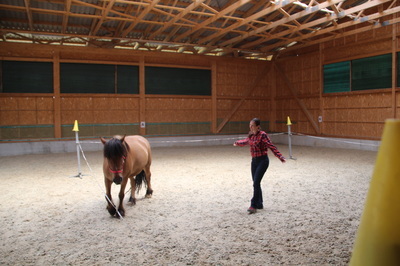 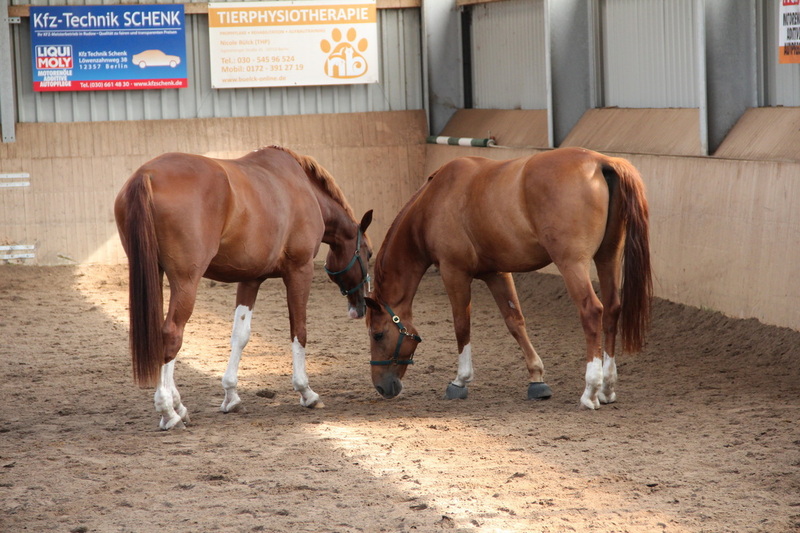 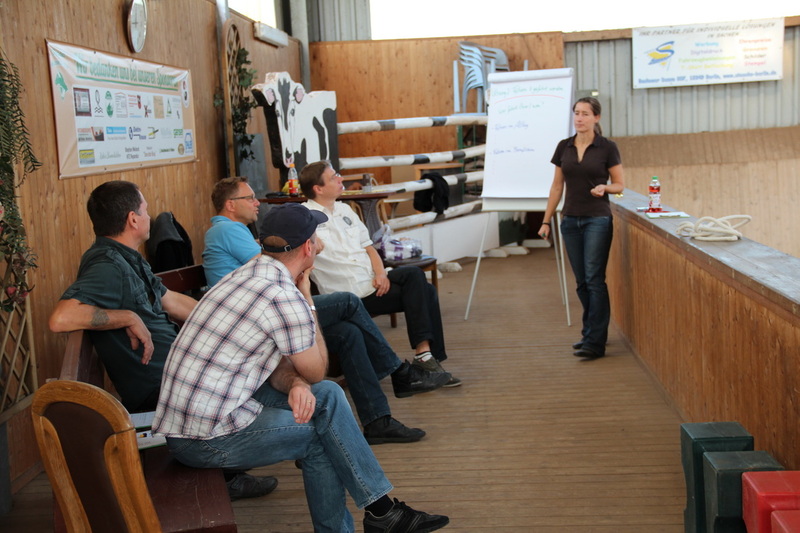 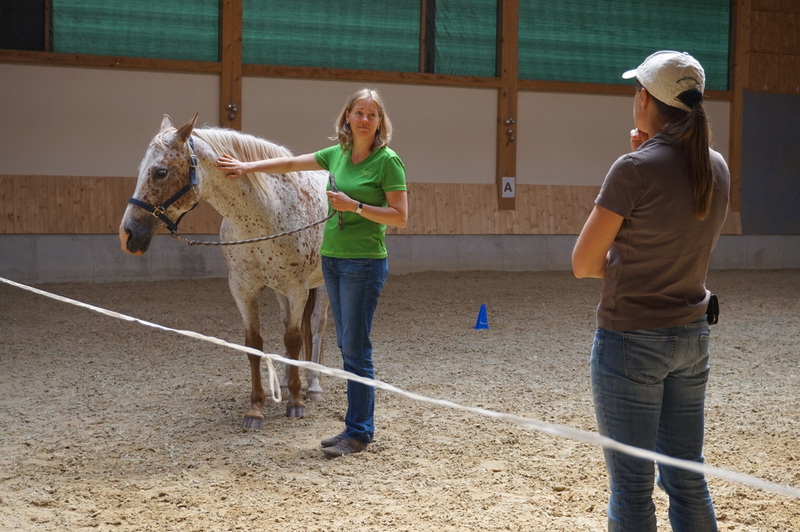 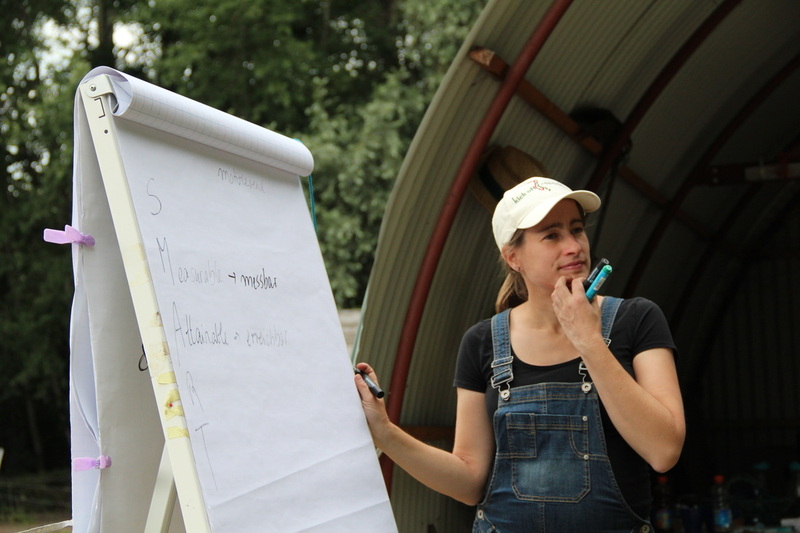 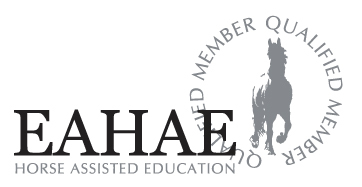 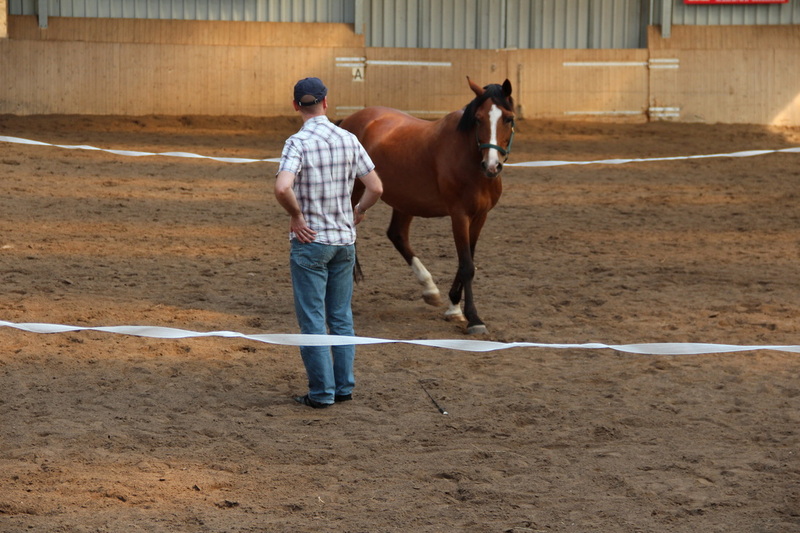 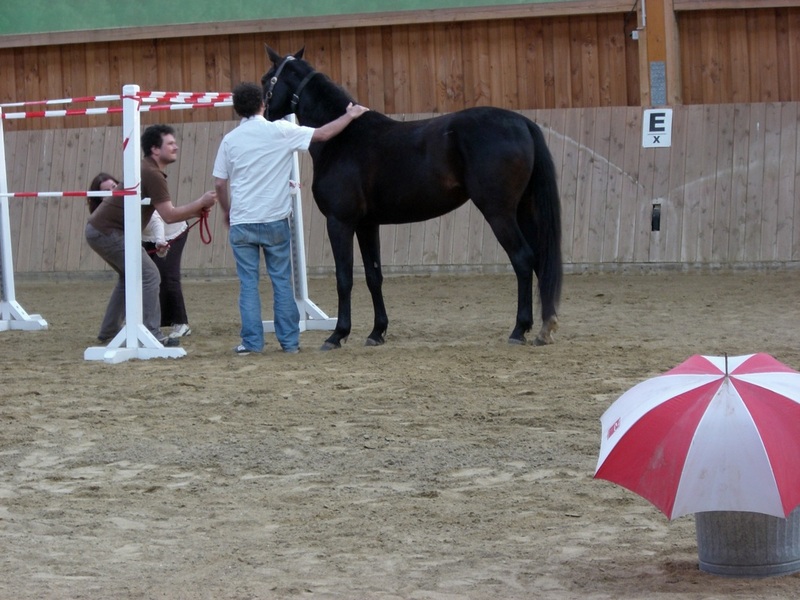 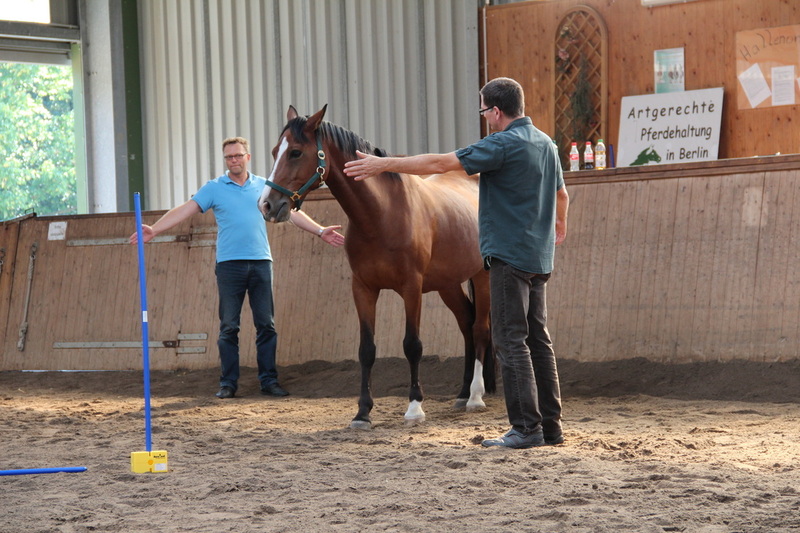 “I liked the seminar a lot especially the herd analytical part, where the roles and the hierarchy of the horses were observed and discussed. So the ranking order model by Raoul Schindler could be experienced directly and, in the following discussions, be transfered to work life as well. 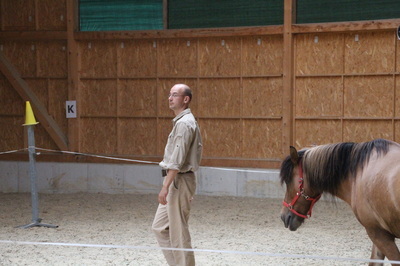 The exercises were an intellectual and an emotional challenge, too. 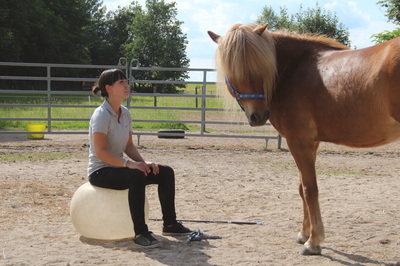 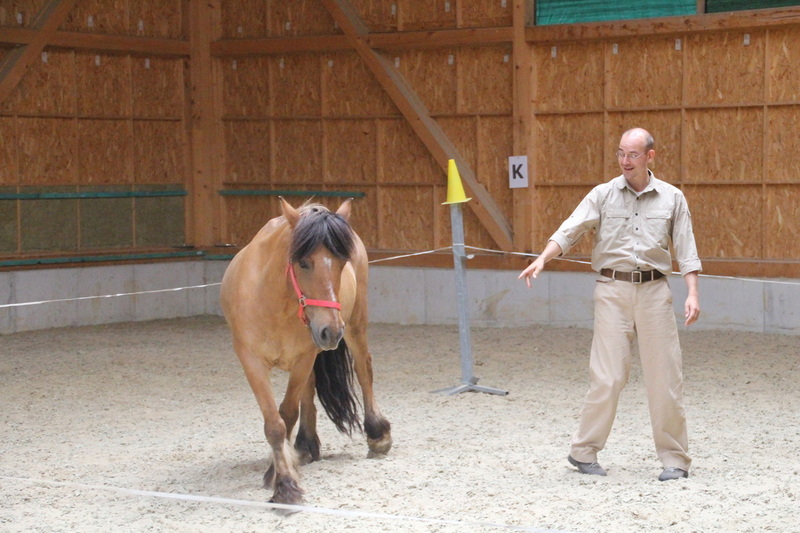 Successfully building up trust with the animal without relying on words or arguments was an astonishing and very satisfying experience. 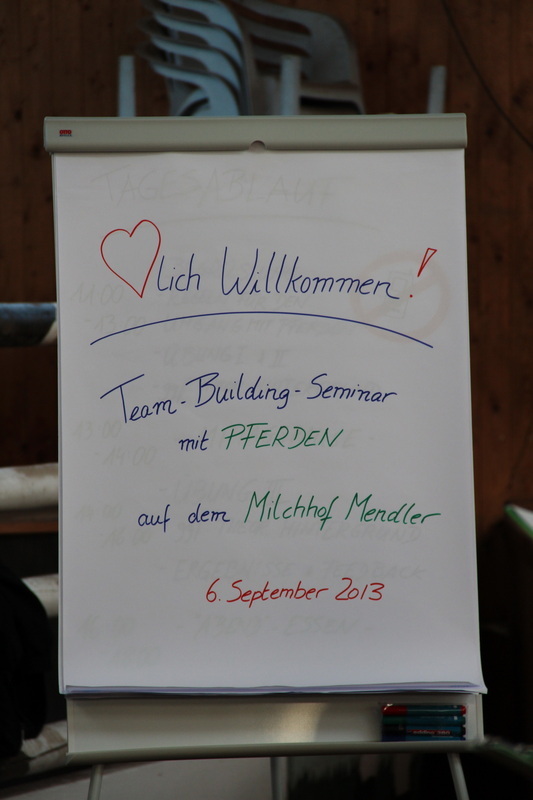 Teilnehmer am internen Firmenseminar der Intershop Communications AG, 2014. Andrea Mörike, ehem. 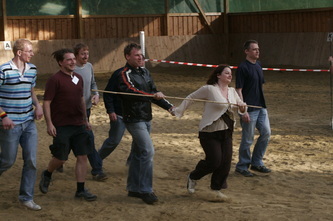 Executive Sales Management, datango AG, 2008. 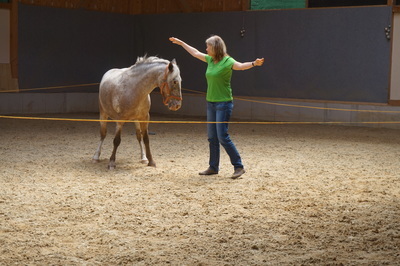 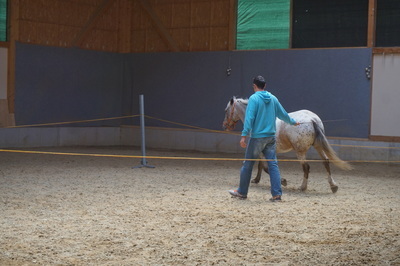 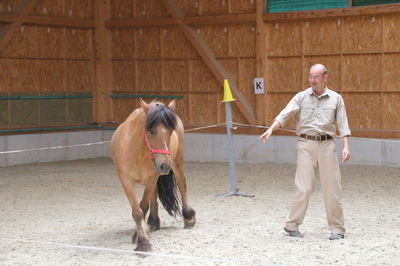 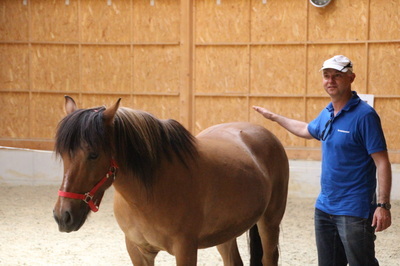 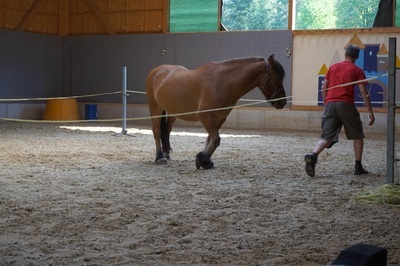 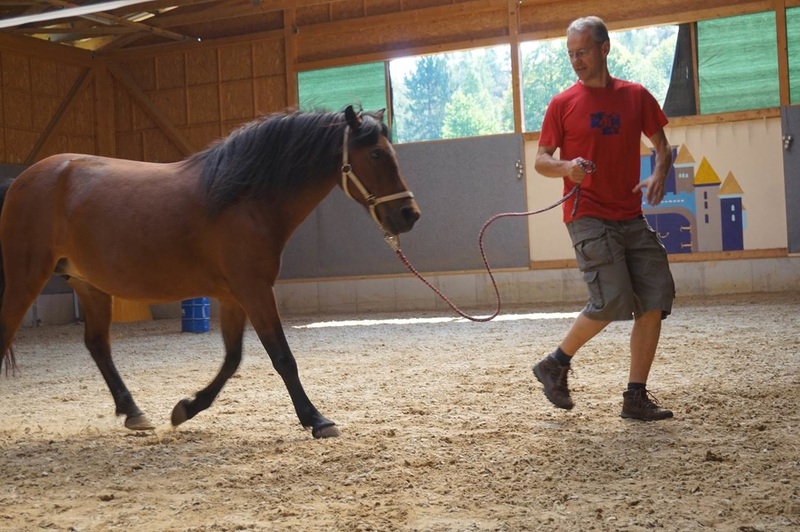 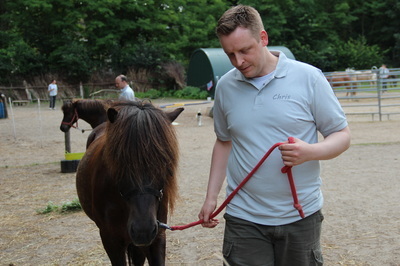 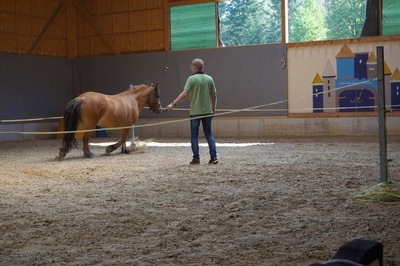 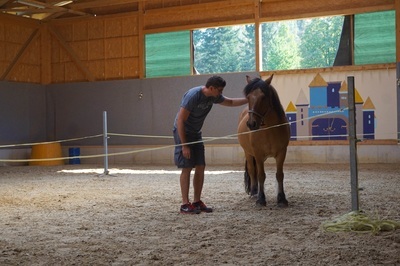 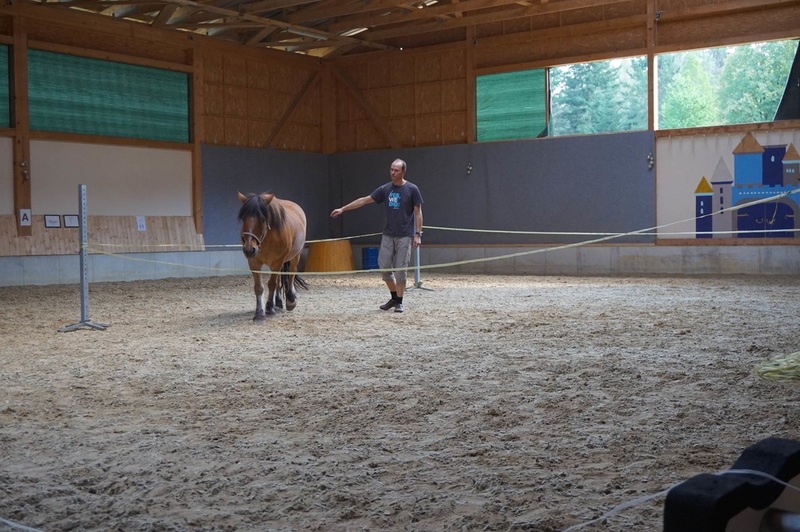 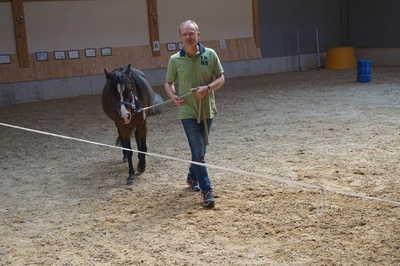 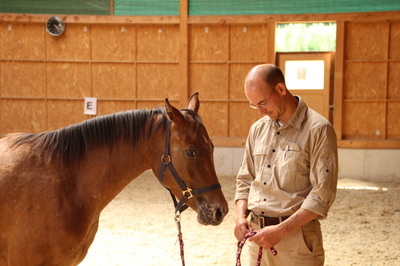 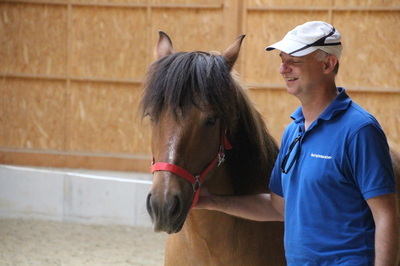 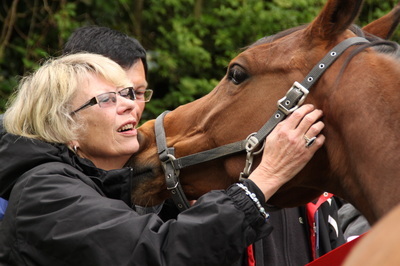 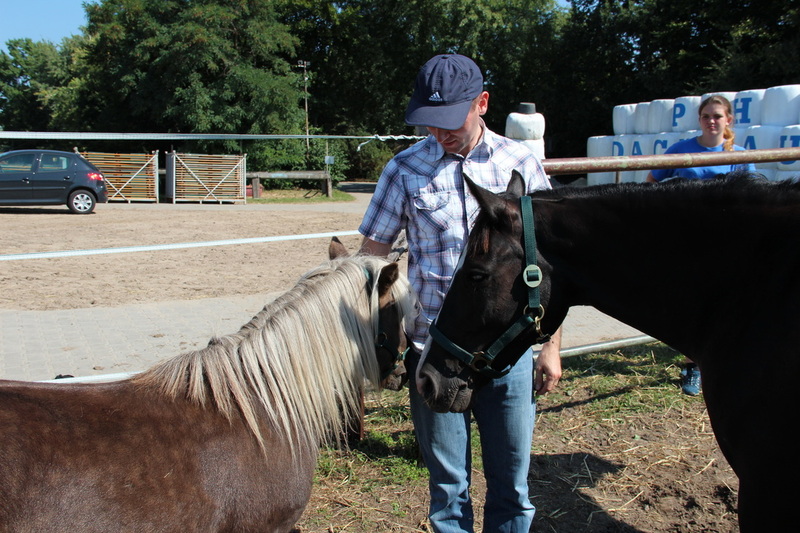 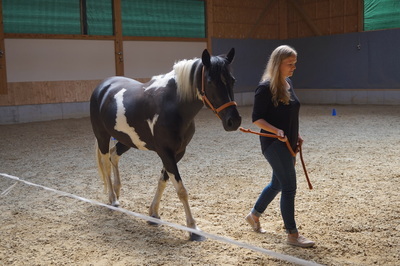 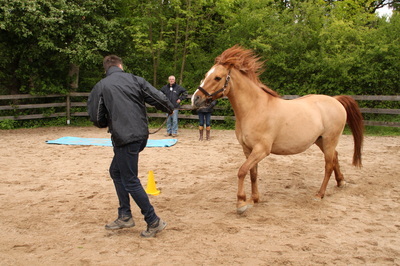 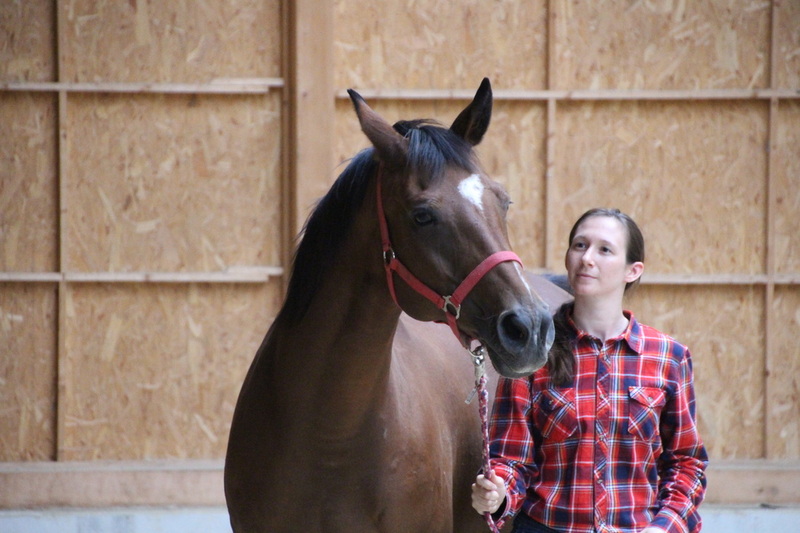 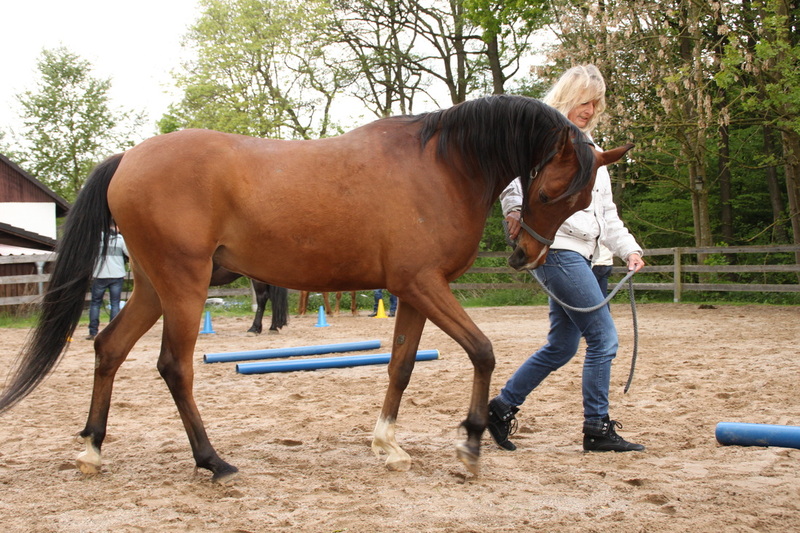 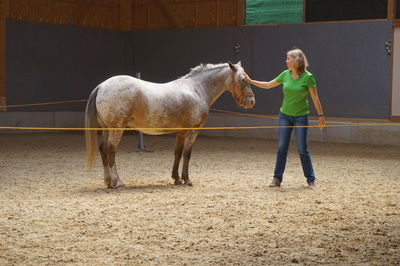 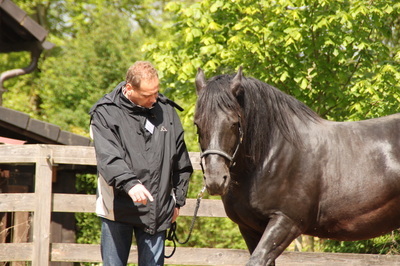 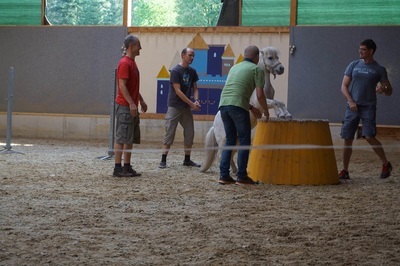 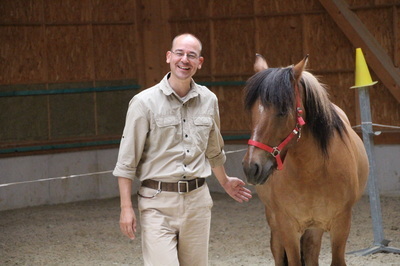 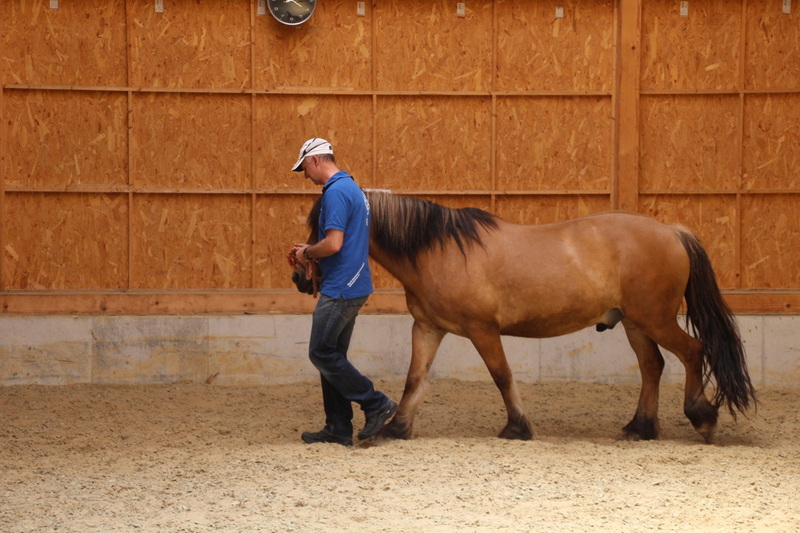 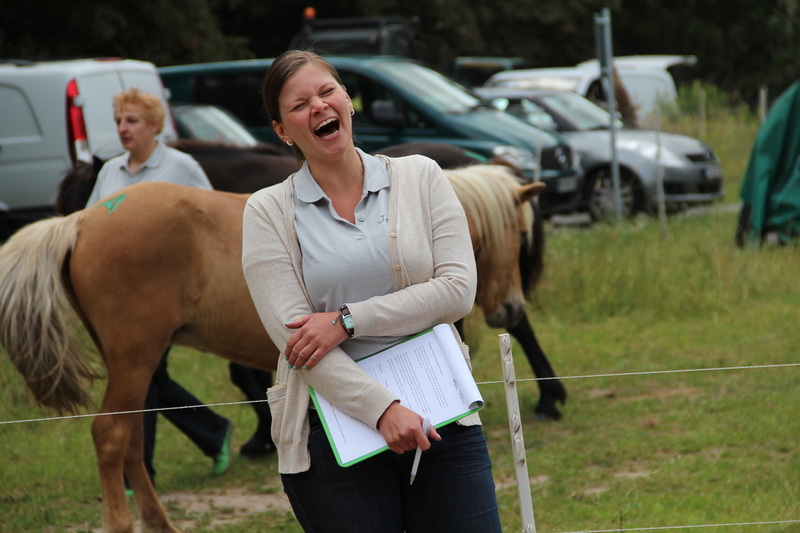 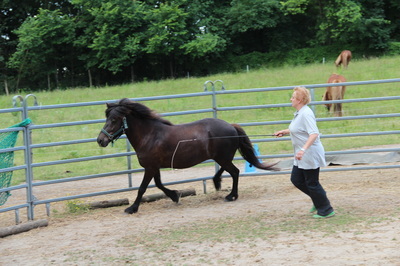 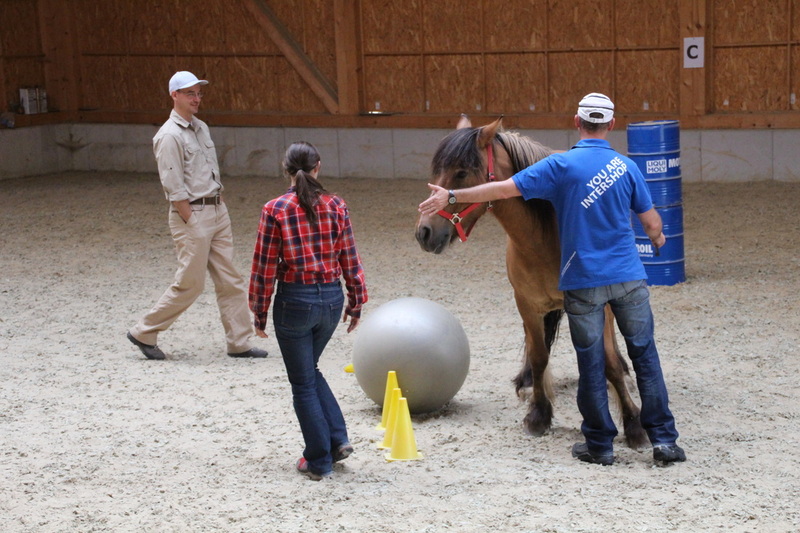 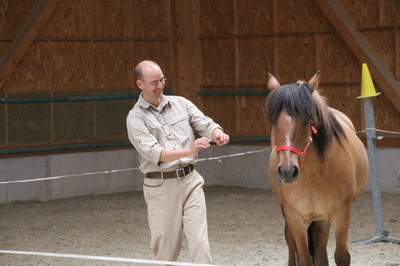 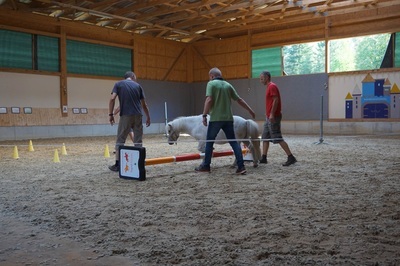 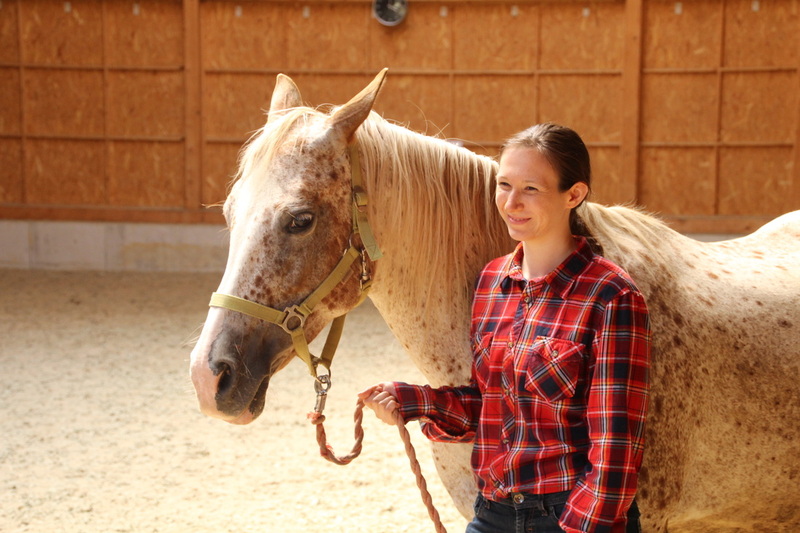 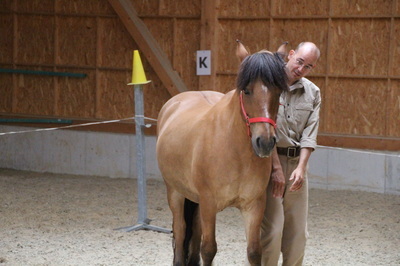 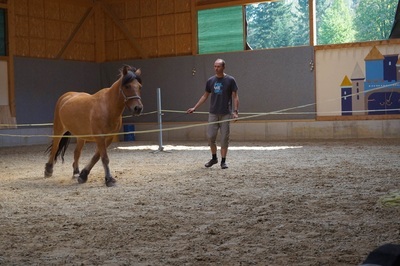 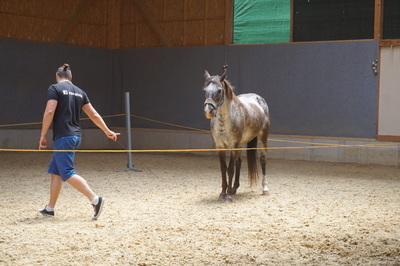 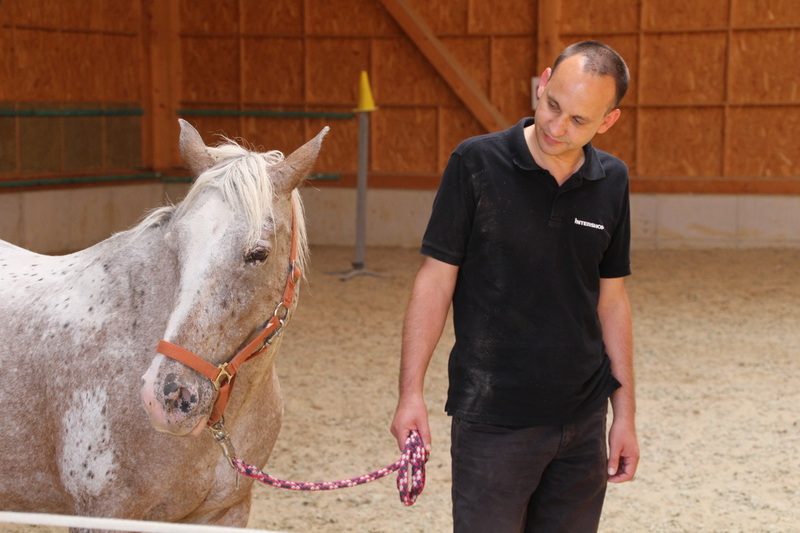 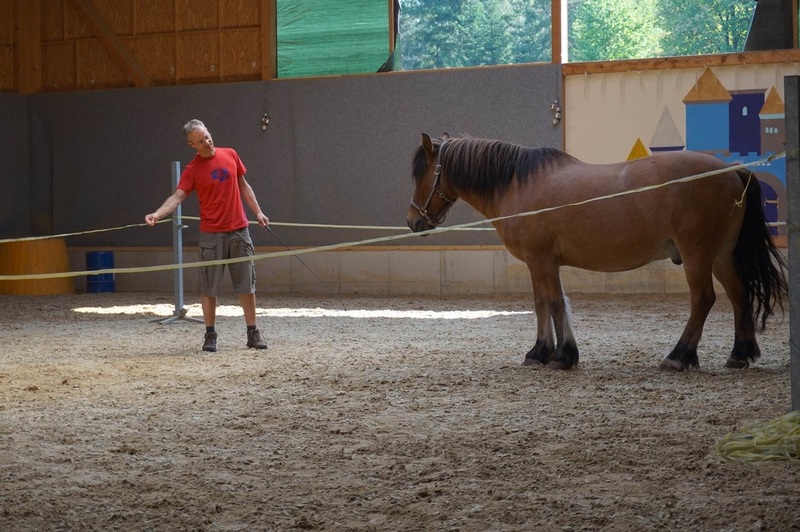 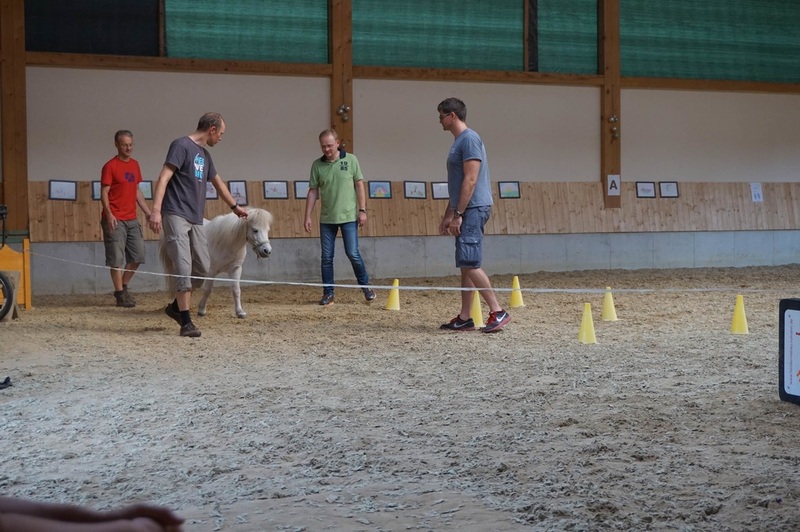 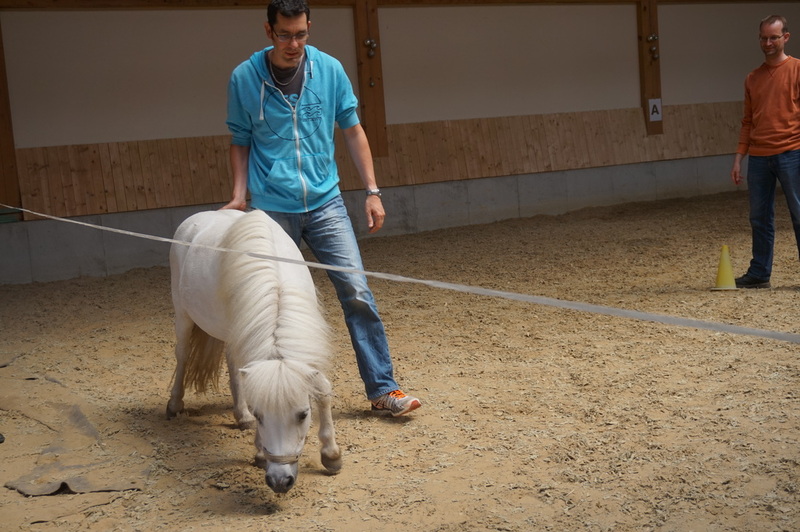 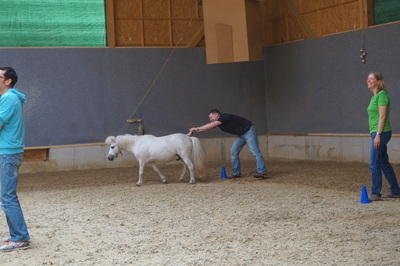 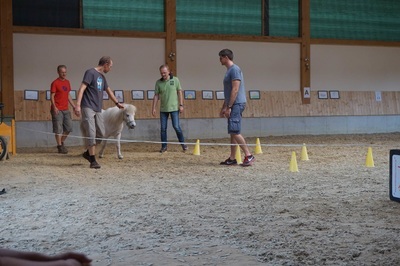 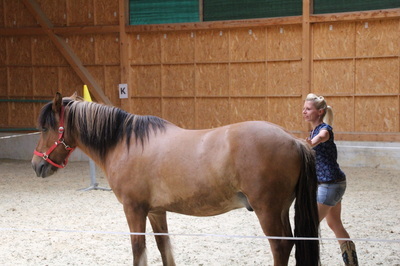 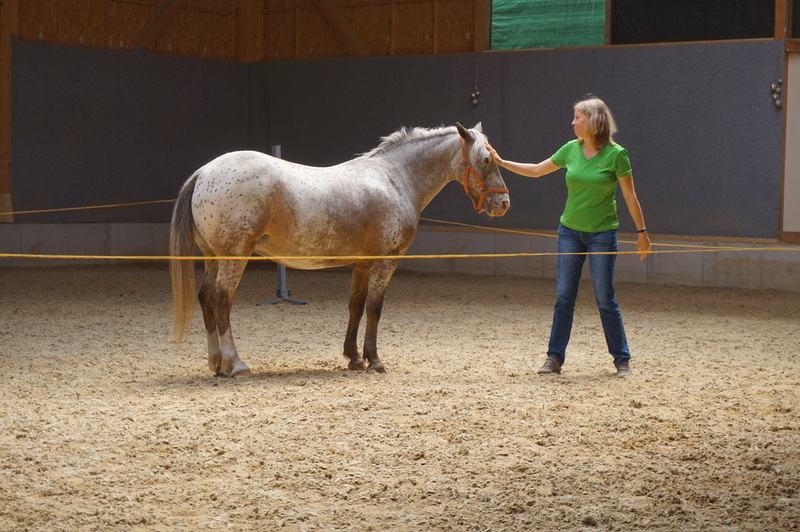 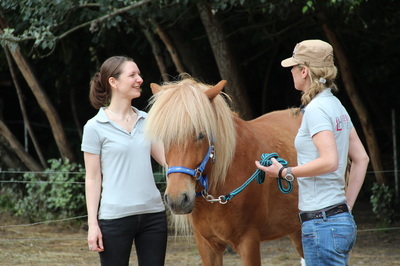 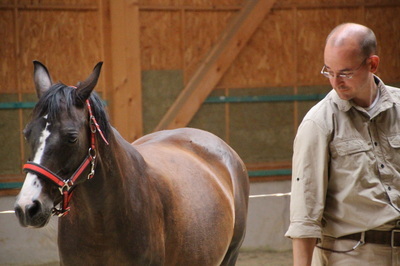 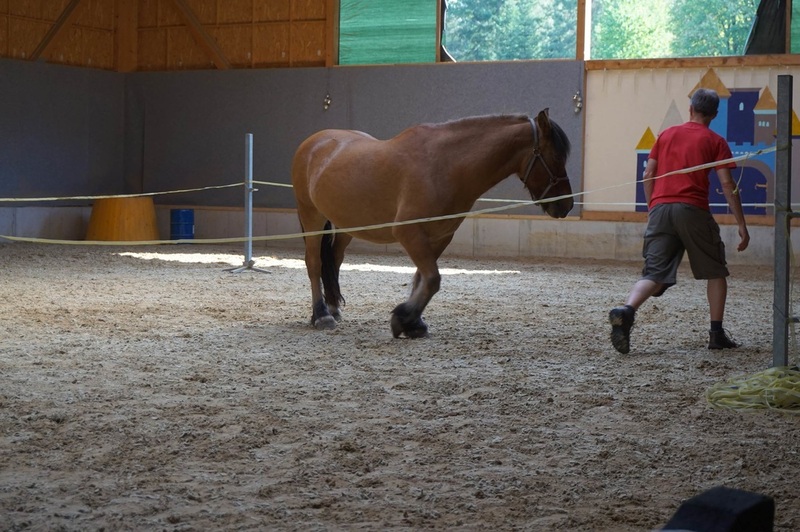 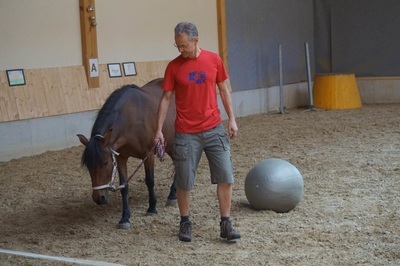 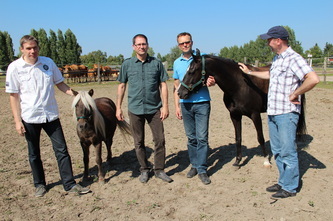 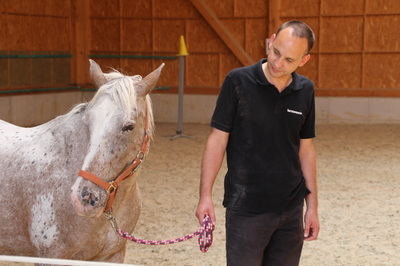 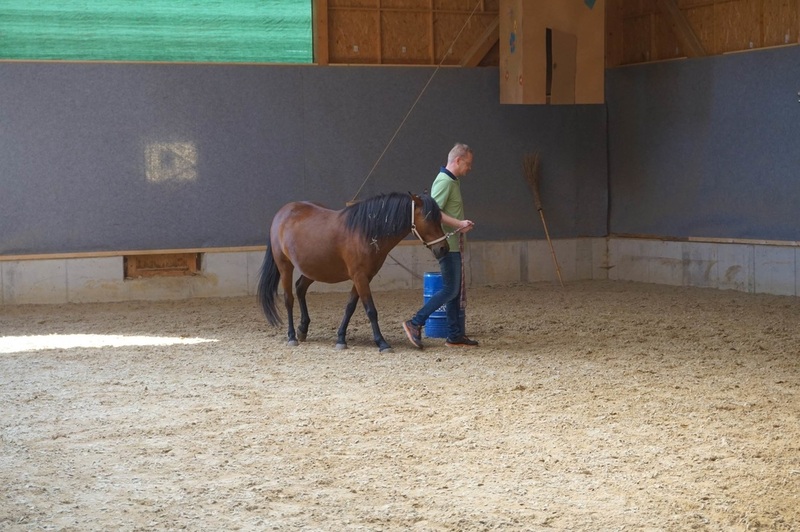 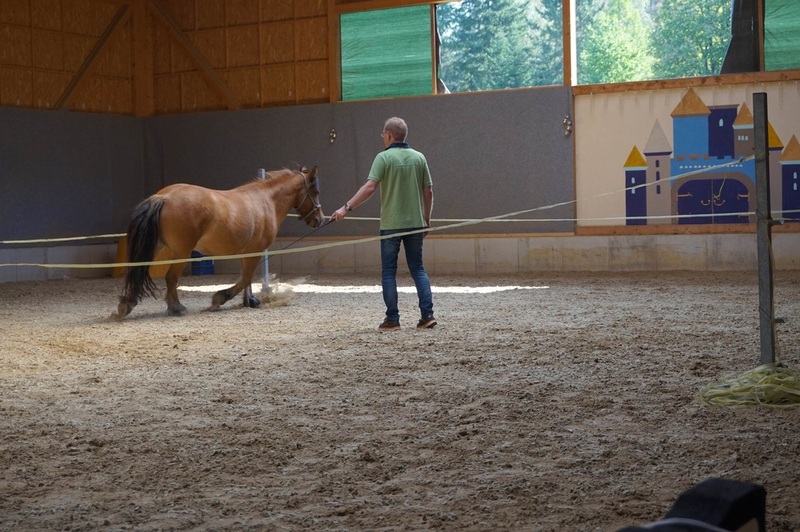 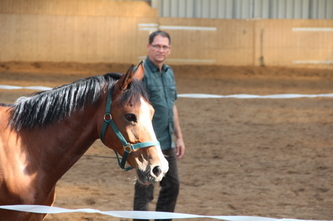 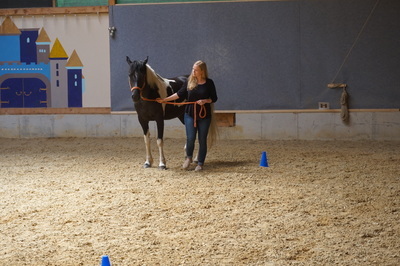 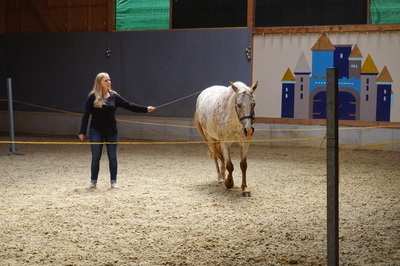 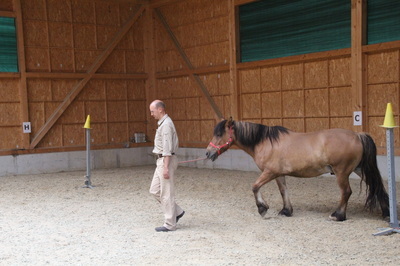 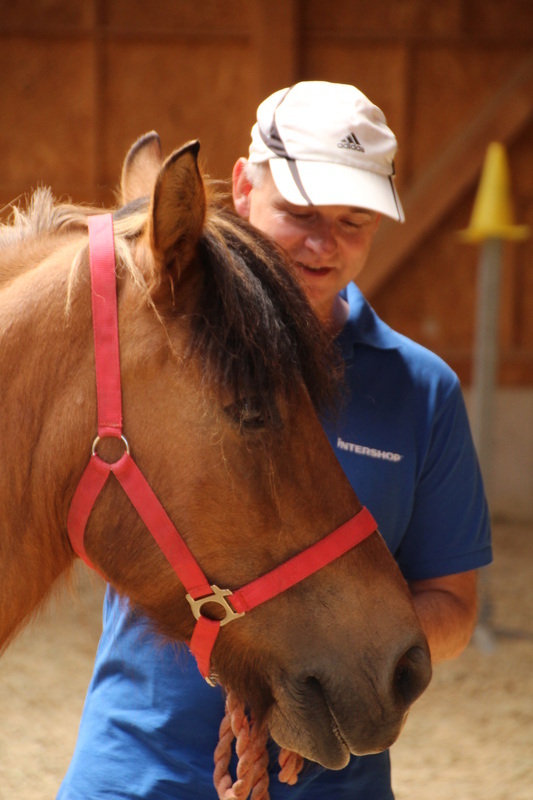 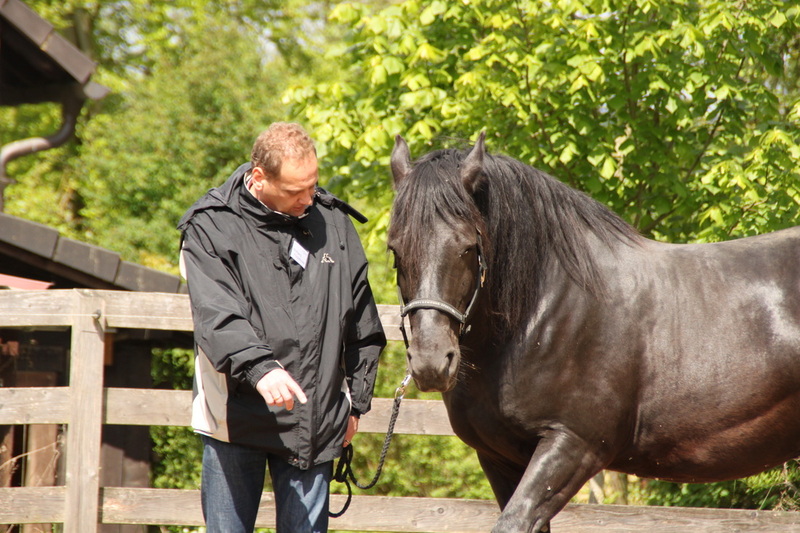 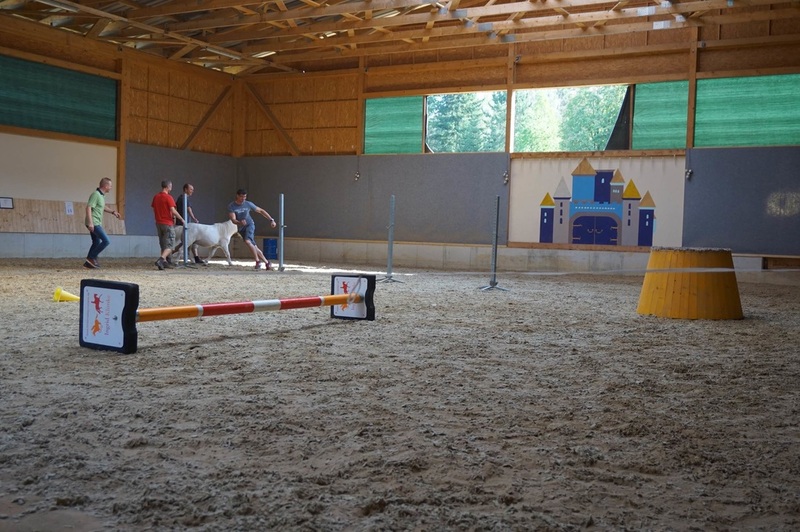 "Vielen Dank im für die Fotos und natürlich auch für das Seminar selbst – mir hat es zum einen gut gefallen und zum anderen auch viel gebracht – im Umgang mit Pferden: ich schicke jetzt zum Üben ab und zu mein Reitbeteiligungspferd im Kreis herum – ohne Longe - und mit Menschen: es gibt Kollegen, die gegenüber einer klar und deutlich agierenden Person ihr Verhalten anpassen…"
Teilnehmerin am Seminar "Kommunikation & Körpersprache", 2013. 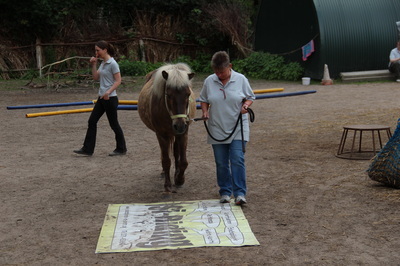 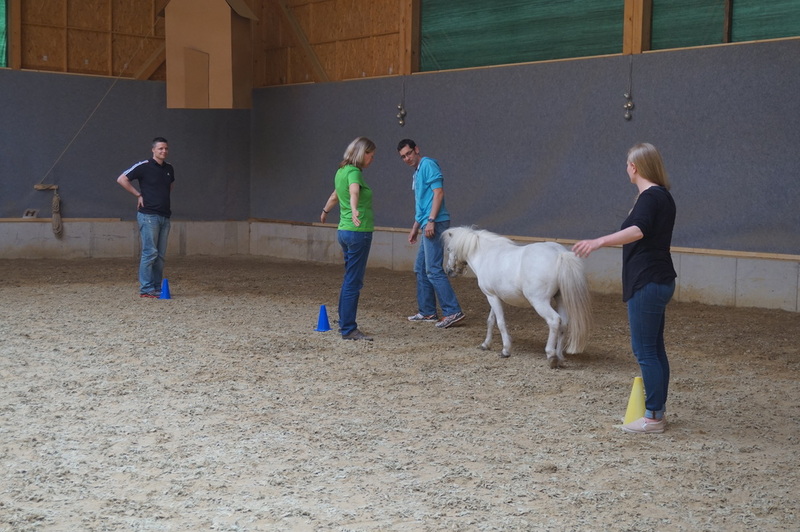 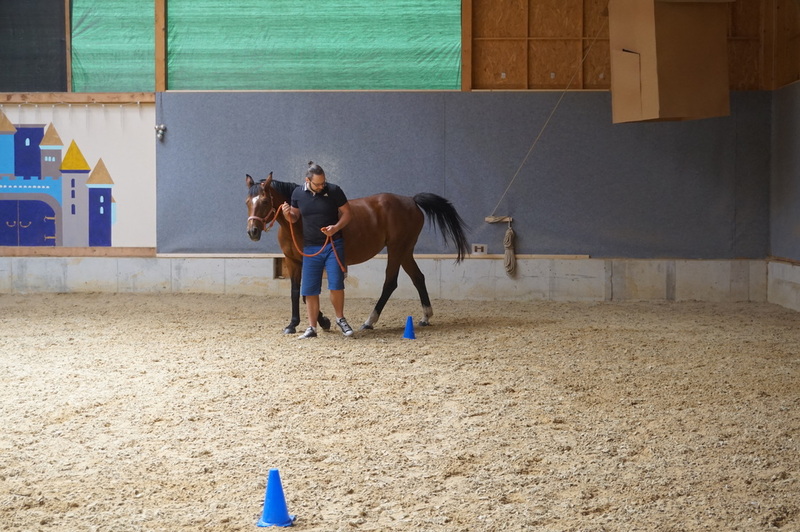 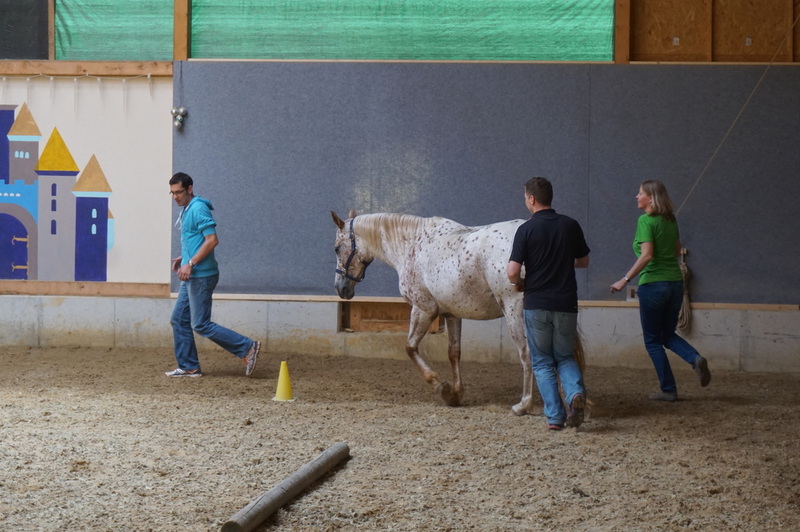 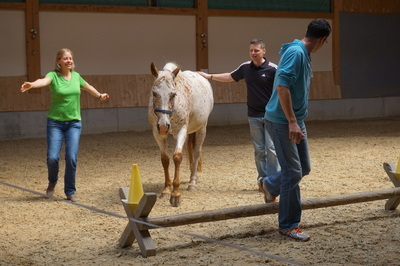 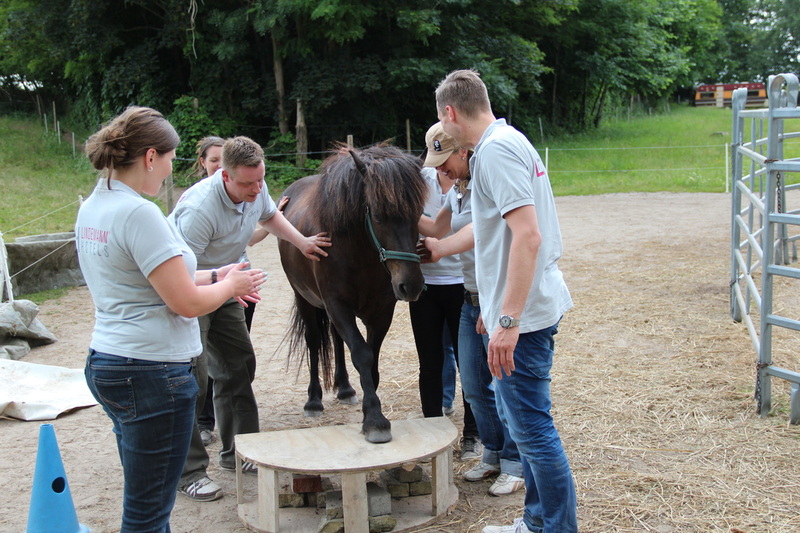 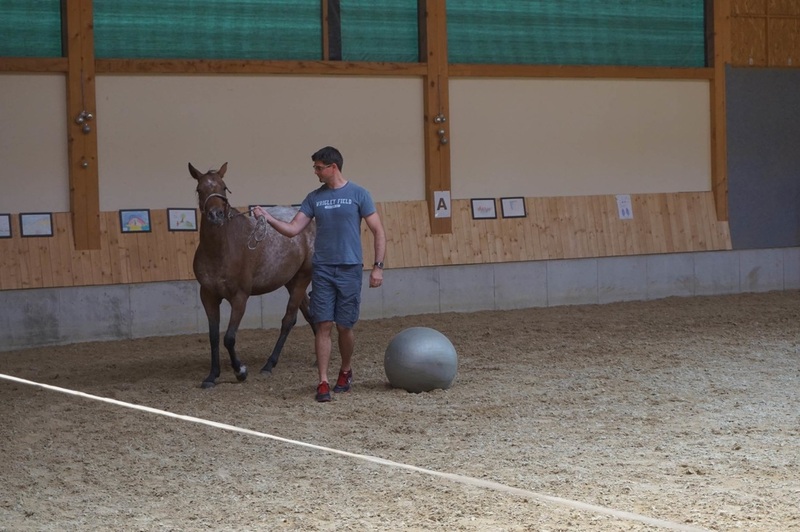 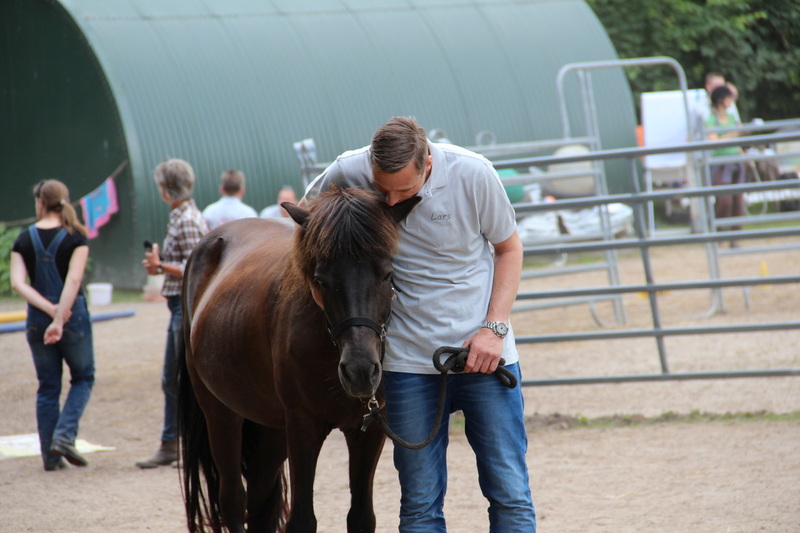 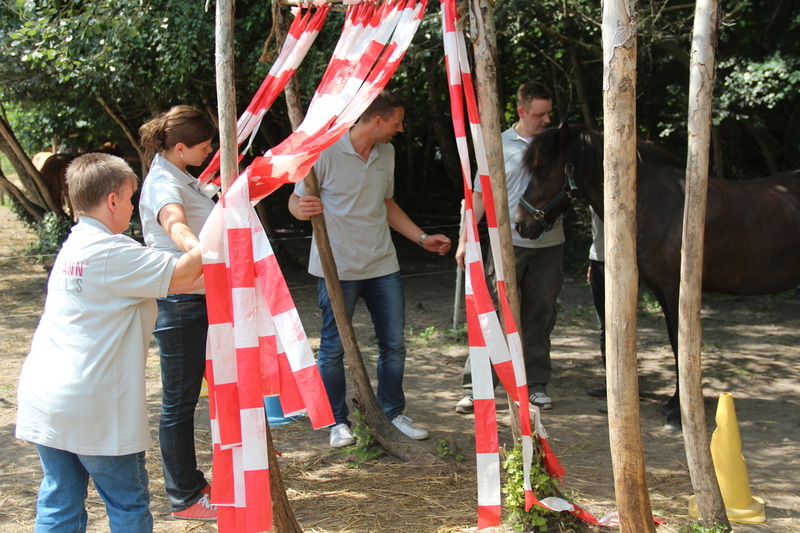 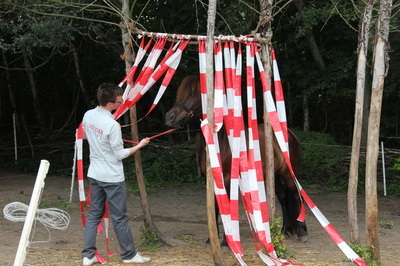 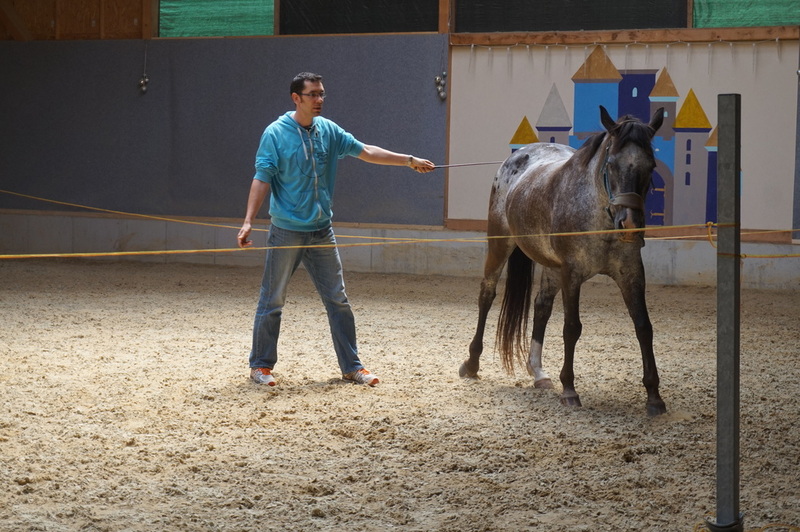 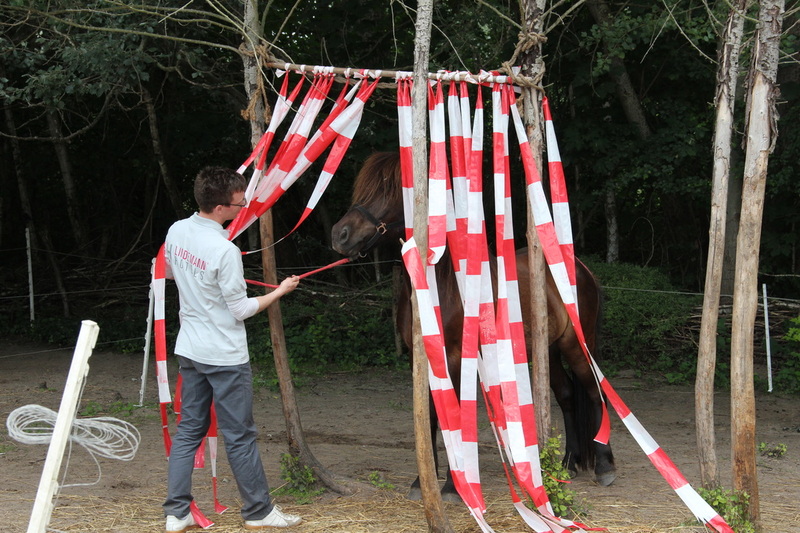 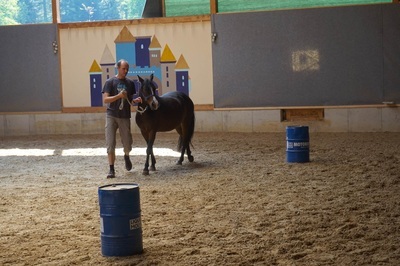 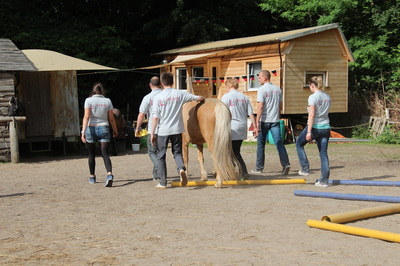 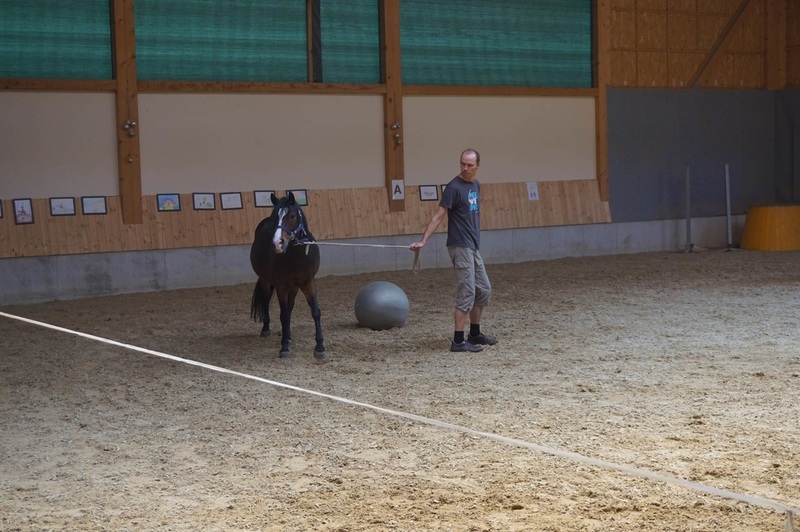 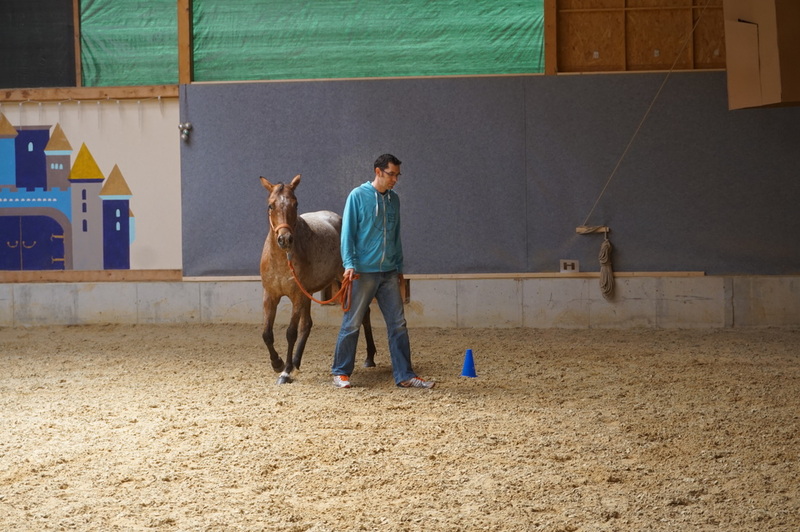 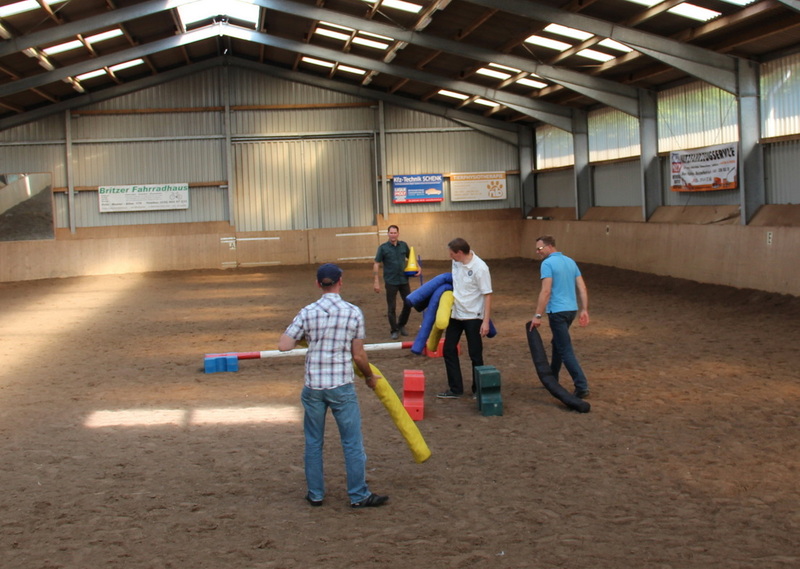 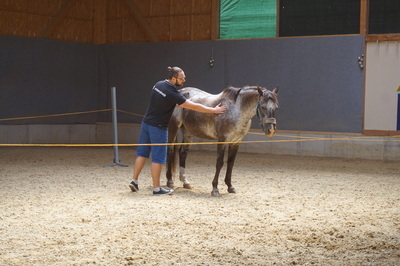 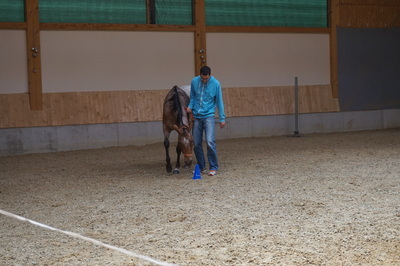 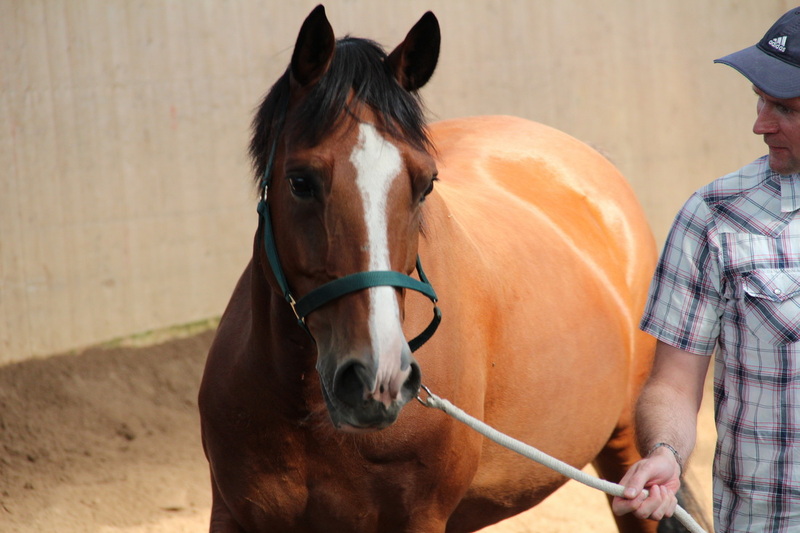 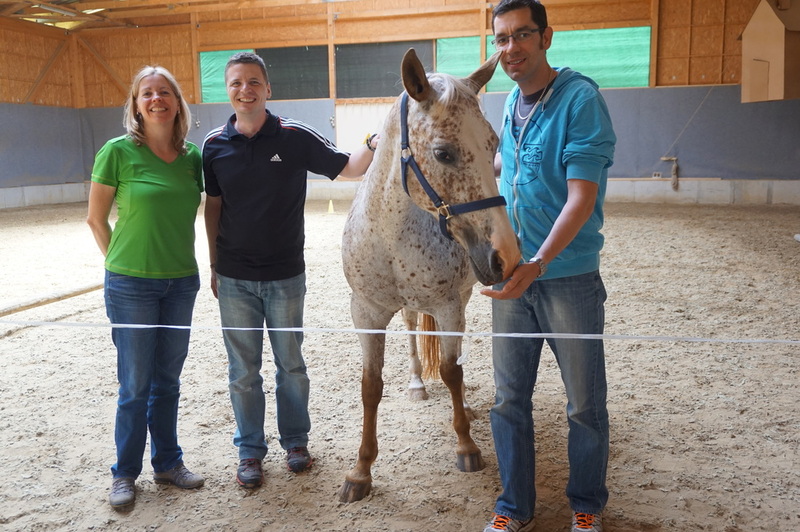 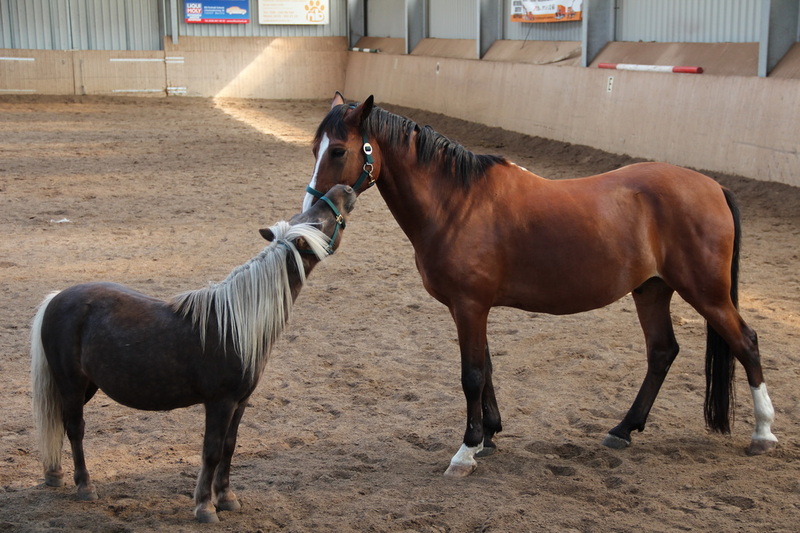 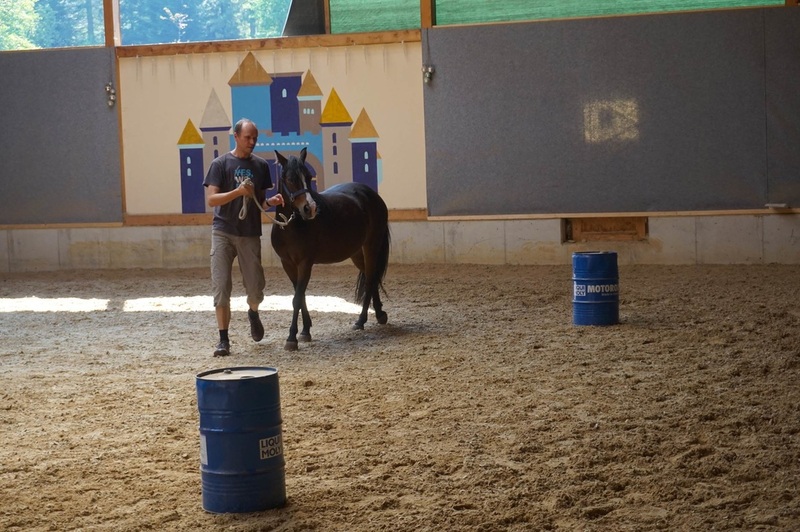 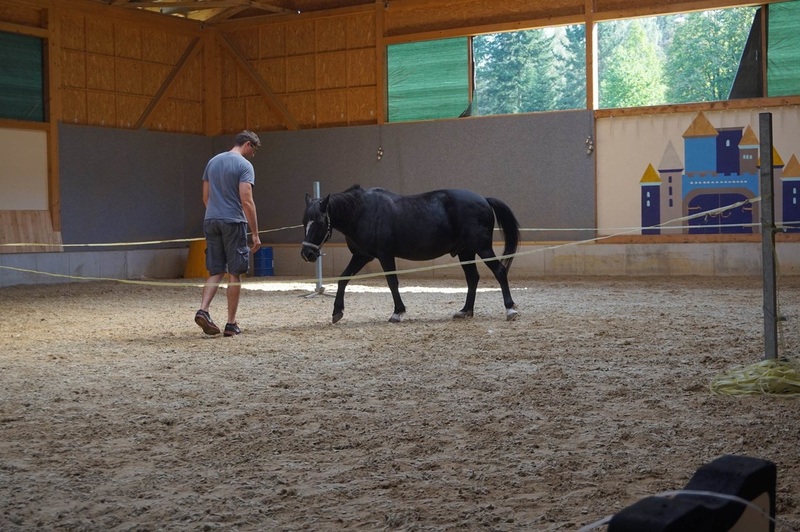 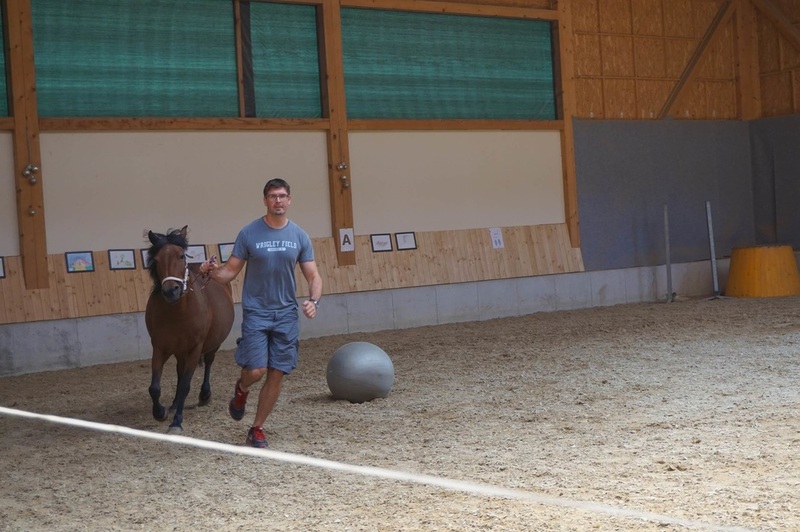 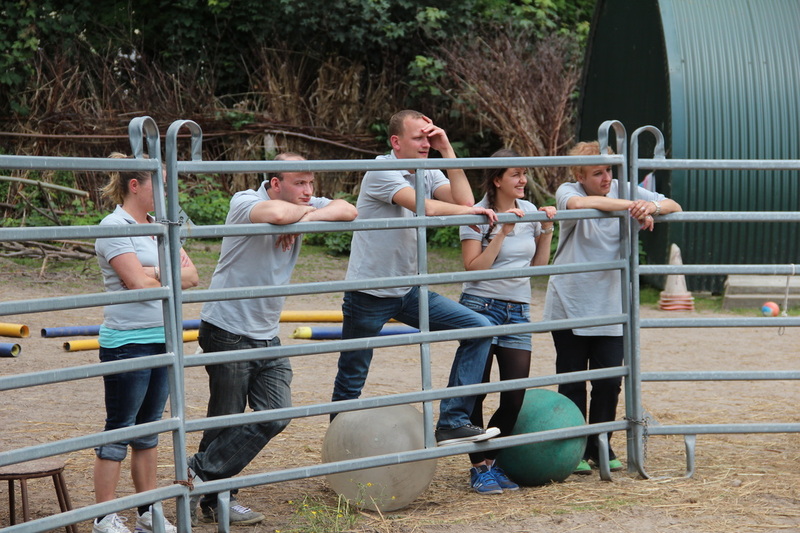 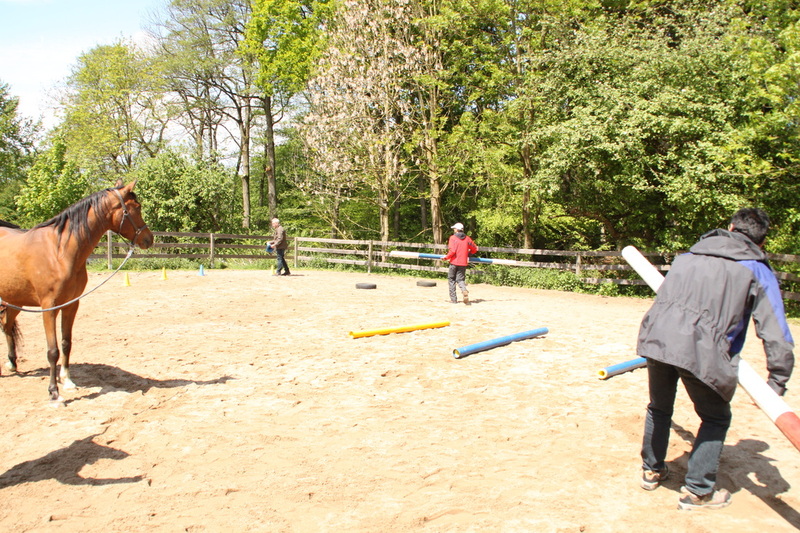 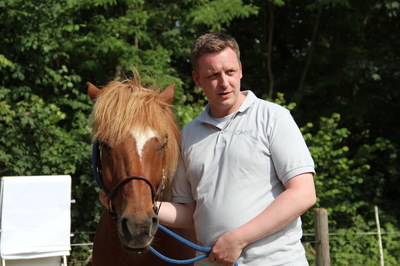 "This is the first time that we have used horses for a team building event and it was amazing to see the great interaction between team members and the horses and I believe that the learnings and experience will stay with us as a positive and exciting experience". Elizabeth Melia, HR Manager, Morgan Advanced Materials plc, 2014. 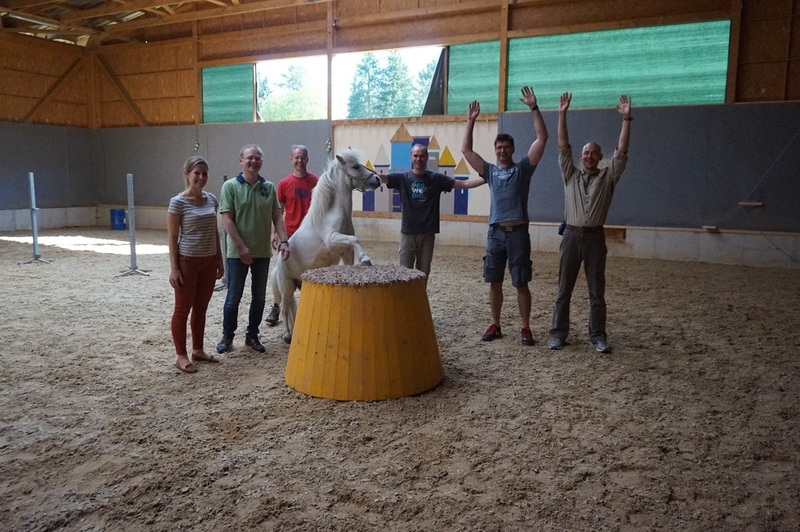 Feedback mit 100% "excellent" und vielen Kommentaren zum Team-Training der Lesson Nine GmbH (Babbel) über Survey Monkey im November 2017. 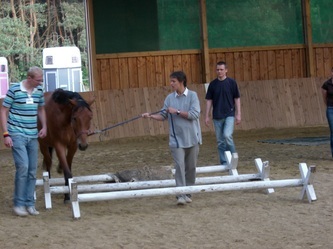 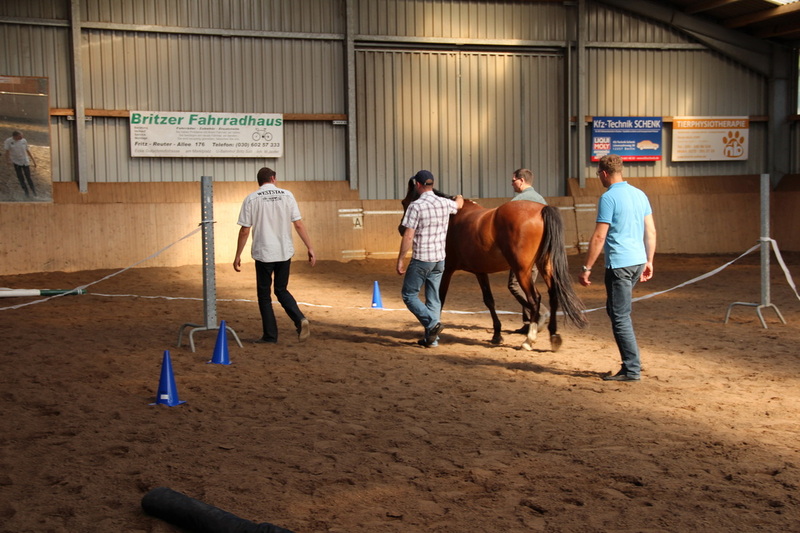 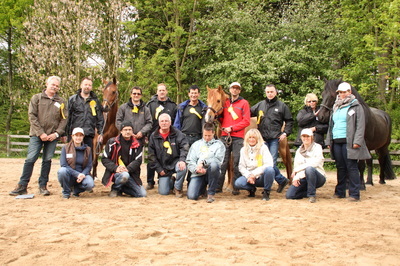 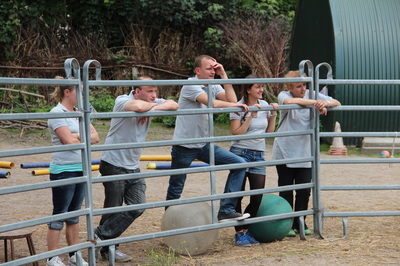 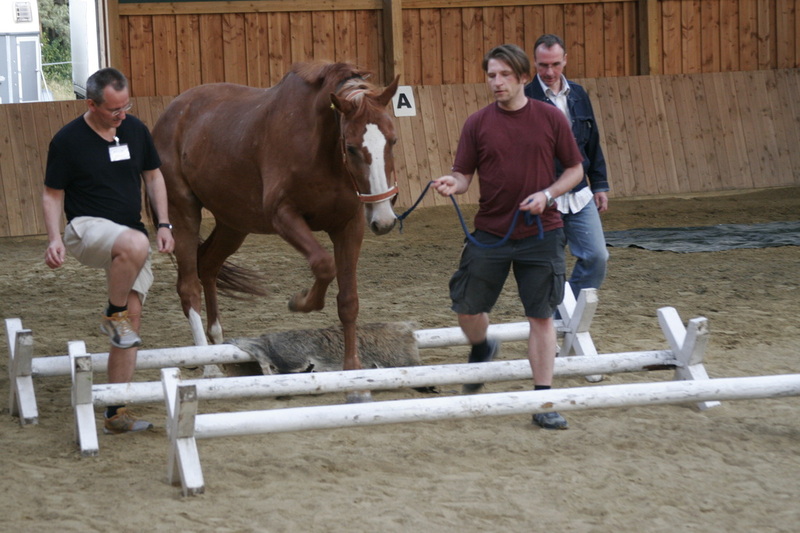 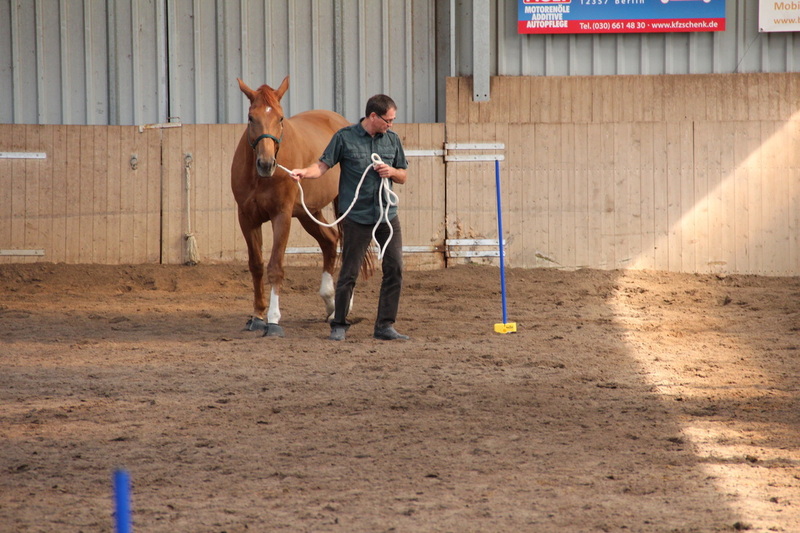 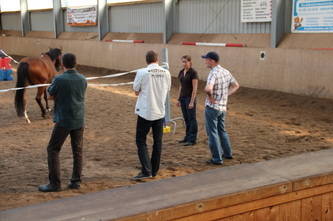 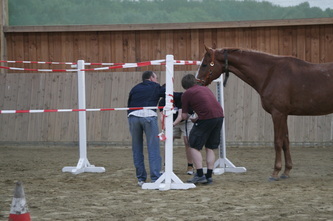 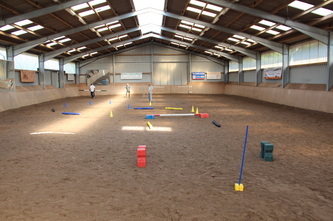 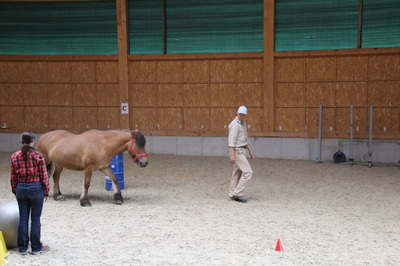 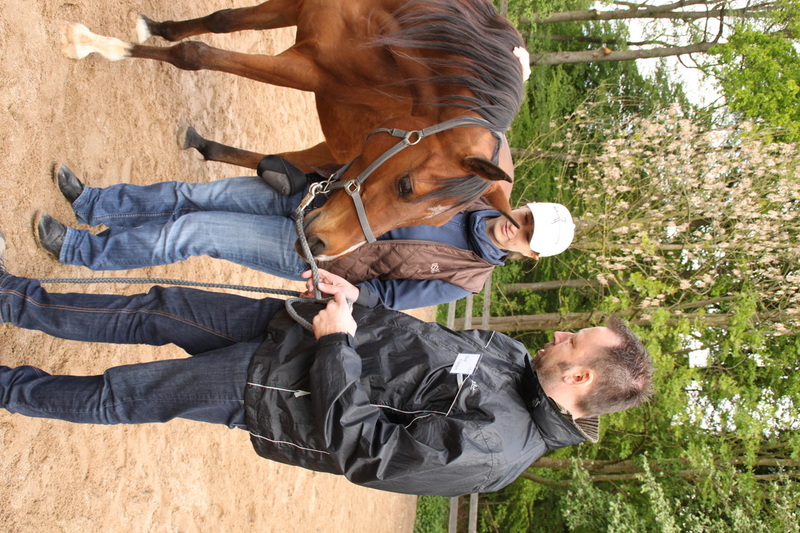 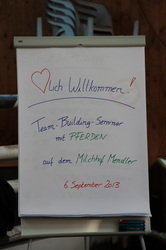 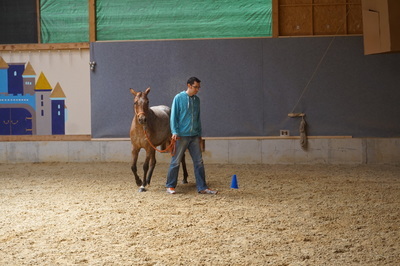 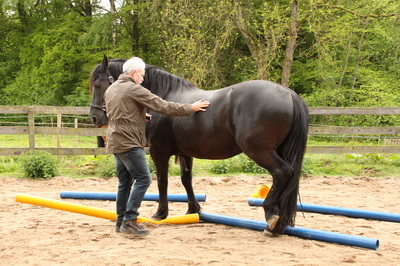 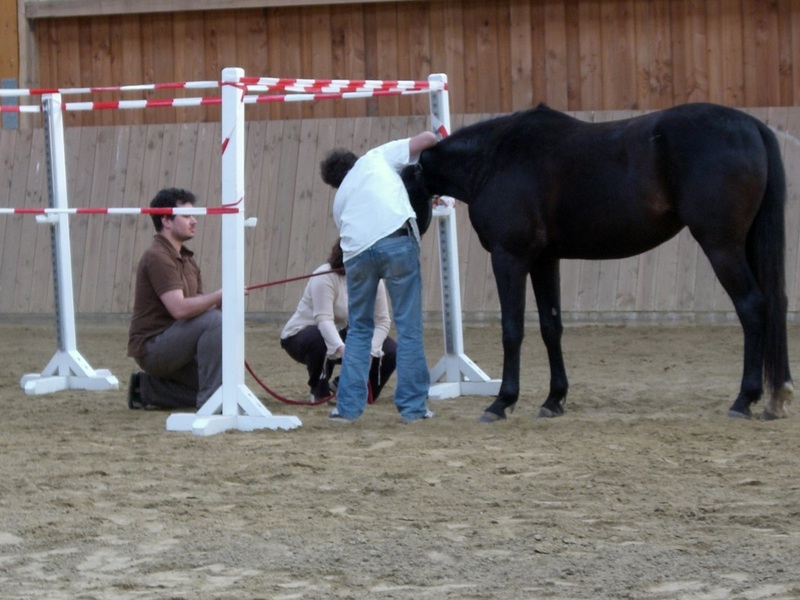 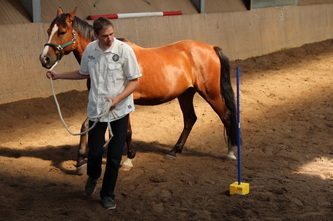 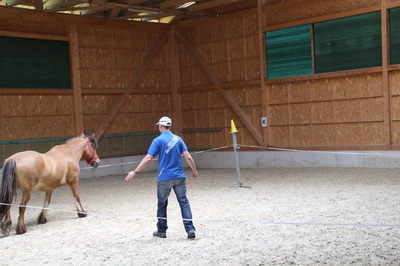 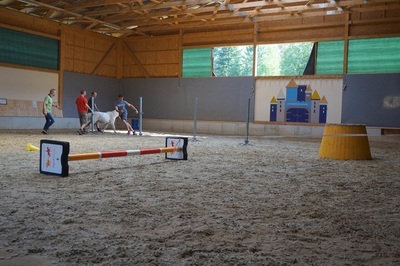 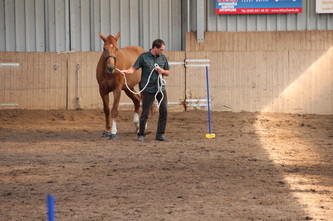 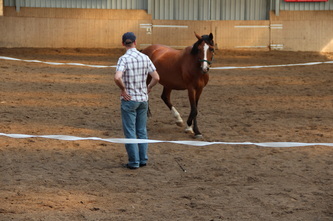 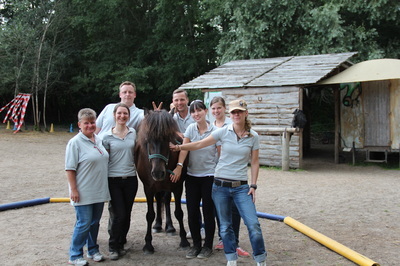 Internationales Train the Trainer Seminar auf Gut Klein Nienhagen, 27. & 28. 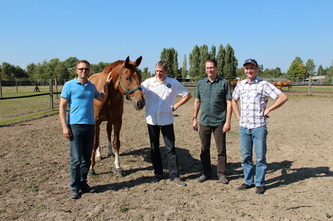 Juli 2013 bei G&K HorseDream GmbH.